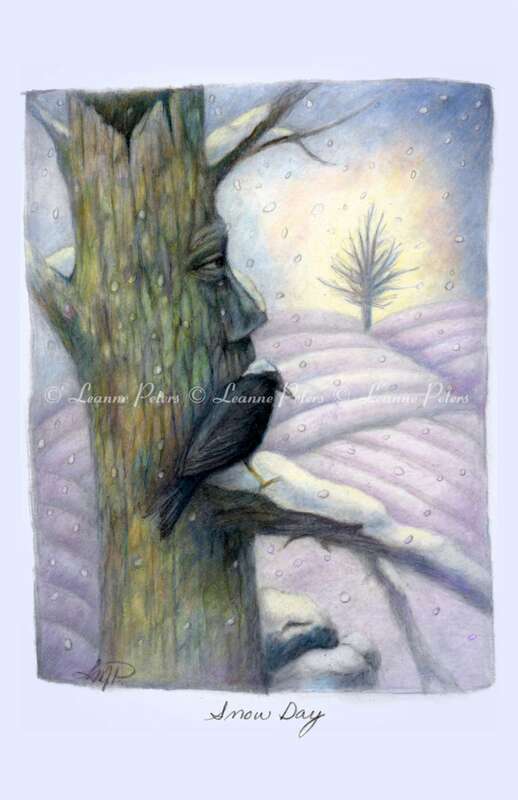 "Snow Day" is an 5.5" x 8.5" giclée print is from a colored pencil rendering. Printed with archival inks on Epson watercolor paper, the detail is superb! Everyone needs a snow day where one can relax, ponder and enjoy just being.